Whether you are rushing because your alarm didn’t go off or because a family member is in need of immediate attention for some reason, you have most likely exceeded the speed limit on the roadways at some point in your life. When we speed for “important” reasons, getting a speeding ticket is discouraging. Not only do you have to pay the fine, but you may also experience an increase in your insurance premium. 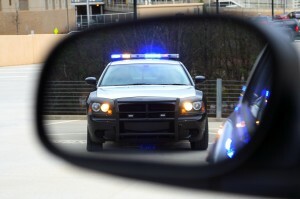 Each state varies on rules and regulations, but Texas allows three options for handling a speeding ticket. Your first option is to pay the fine. This means that you are admitting guilt, resulting in a conviction. You can also choose to plead innocent and defend yourself from the charges. Your last option is to request to attend traffic school and have the speeding citation dismissed. Texas law only allows an individual to attend traffic school once per year. Texas prohibits those driving commercial vehicles to dismiss a ticket. In addition, no dismissal is allowed for violating the speed limit by 25 miles per hour or more, or for going faster than 95 miles per hour. If you are eligible, your best bet is to take a traffic school course. You can request to take a course at the time of your court date or send in the request in writing beforehand. There are also online courses available. Central Insurance Agency can help provide you with the peace of mind knowing your car is properly protected. We have been providing Austin residents with personalized insurance services since 1958. Contact us today for all of your Austin, Texas auto insurance needs. We are always available to answer any and all of your questions.